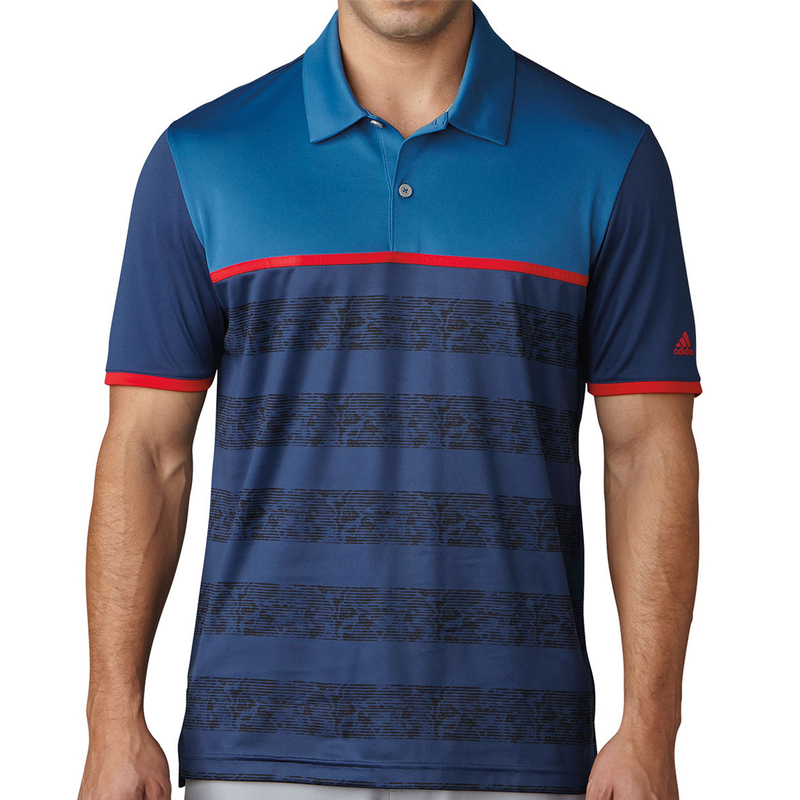 Look great on the golf course and keep cool under pressure with this incredible polo shirt from adidas. The climacool fabrics across the back offer ventilation and this is combined with a self collar with perforated details for enhanced breathability to keep you cool and comfortable. 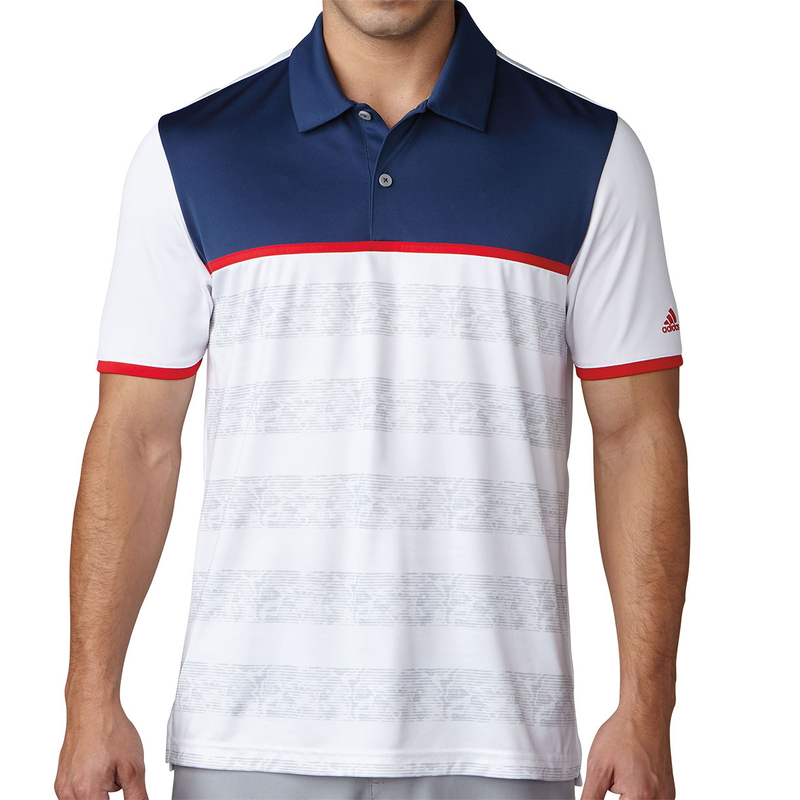 The design is complete with a 2-D camo print stripe across the front and an adidas logo located on the left sleeve.